My apologies for any confusion earlier today. Those of you who are signed up for email notifications may have received a strange email about spicyfishy and namecheap. Basically, I forgot to renew our domain name (spicyfishy.com) so the internet gods stopped letting you get to our site. For some reason, that change prompted an automated email. Sorry about that! Anyway… For those of you who are not on Facebook or Instagram, here are some photos from the past few weeks. Also, Kate has been much better about blogging regularly on her site, so be sure to check it out at www.katekorroch.com ! She’s pretty amazing! Happy Easter! Chad and I are enjoying a quiet morning listening to music from the church across the street., eating oatmeal, and getting work done. Later we will have some friends over. Yesterday at the grocery store while looking for a vegan cake we found a cake shaped like a lamb–lamb cake + birthday candles =roasted lamb! A vegetarian delight! I’m sorry if this post is repetitive for some of you. I want to share a couple of projects I have going on right now. 1. 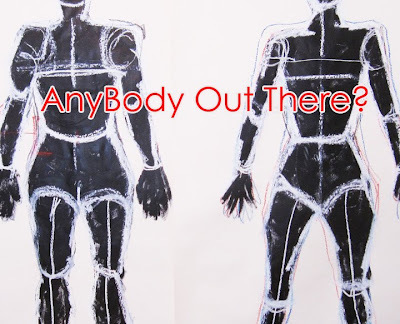 I recently launched my first Kickstarter-”AnyBody Out There?” This summer I’m participating in a residency at Red Gate Gallery in Beijing, China and I’m going back to South Korea for research. Kickstarter is an online program that helps people raise money for creative projects. Each donation level has an award–for example for “AnyBody Out There?” you can get a limited edition artist book or various original paintings. To get any donation you must hit your goal but you can exceed your goal. I hope you enjoy the video! My husband did an amazing job with it. Would you like to be named or anonymous? Well, we’ve been home for over 2 months now and time is flying by. Our wedding day is quickly approaching and the details are starting to come together! (We think!) Right now, Kate is in Virginia with her family spending countless hours bringing the wedding together, applying for scholarships, and enjoying time with her family. I’m here in Kokomo with my parents working on my parts of the wedding, training for a sprint triathlon (eeek), and applying for jobs in Chicago! It’s an exciting time! For more detailed descriptions view on flickr – click here! For those of you who don’t know, Kate and I were stranded in Paris because of the Icelandic Volcano. We stayed there for 3 extra days then took bus to Barcelona and on to Madrid where we got a flight home. It was an adventure and it was ridiculous (and annoying). Now we’re fighting battles with the travel insurance company which is very frustrating but in the end it was a nice bonus to get to see spain a bit! Enjoy the Pictures, We’ll be back soon! We can’t wait to see some of you at the wedding in a few weeks!